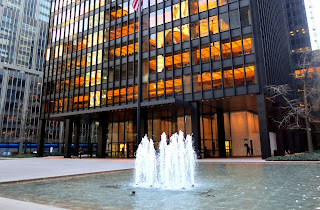 The Seagram building was designed by Ludwig Mies van derRohe and is often considered to be highpoint of the modernist architecture of high risers. Mies is associated with his quotation of the aphorisms, "less is more" and "God is in the details". The sculptor was born in 1886 in Germany. He joined the German avant-garde and adopted the aesthetic credos of Russian Constructivism with their ideology of "efficient" sculptural assembly of modern industrial materials. Mies served as construction manager of the Embassy of the German Empire in Saint Petersburg, Russia. Mies designed The Barcelona Pavilion - the German Pavilion for the 1929 InternationalExposition in Barcelona, Spain. This building was used for the official opening of the German section of the exhibition. 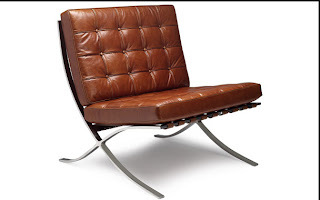 Barcelona chair was designed by Mies for the Spanish Royalty to oversee the opening ceremonies of the exhibition. Ludwig Mies van der Rohe's signature is stamped into each chair. The char is very expensive. Unauthorized reproductions are sold under different marketing names. Nazis rejected his style as not "German" in character and Mies left his homeland in 1937. 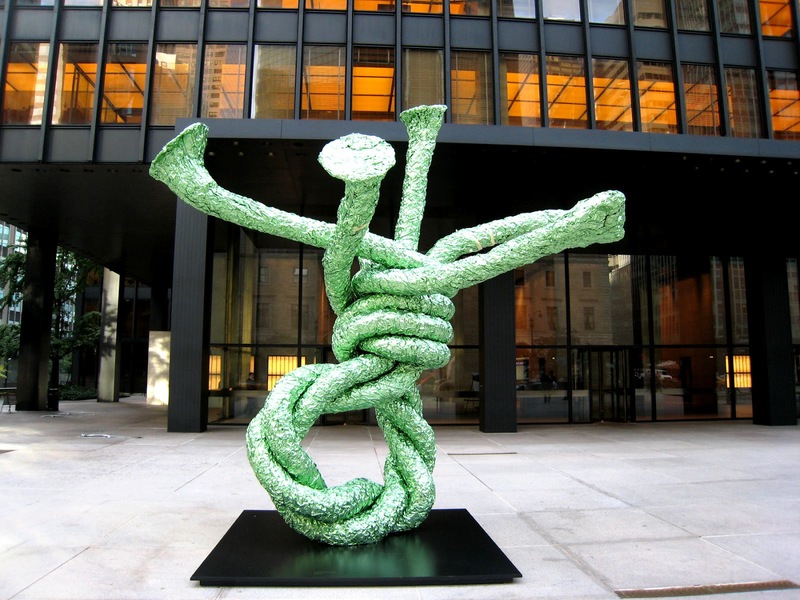 In 1944 he became an American citizen and worked from his studio in downtown Chicago for his entire 31-year period in America. 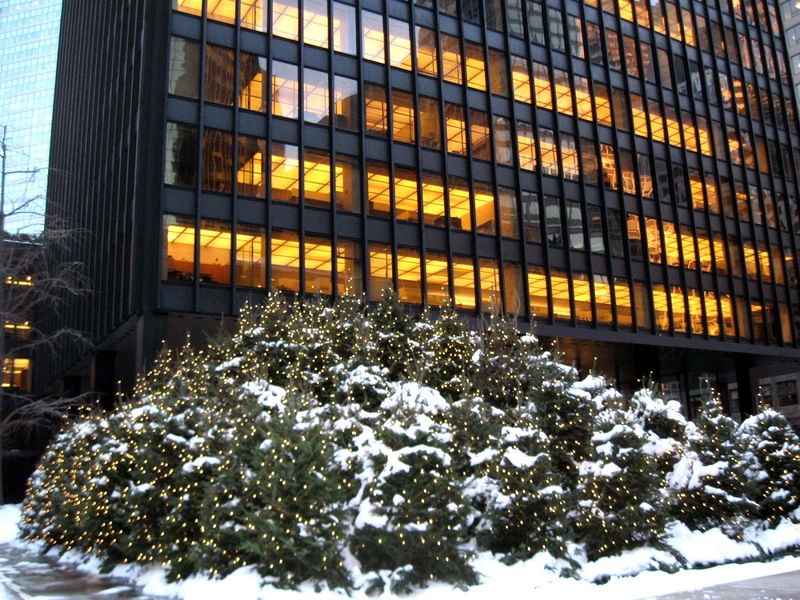 In 1958 Mies van der Rohe designed what is often considered to be highpoint of the modernist architecture of high riser, the Seagram Building in New York City. 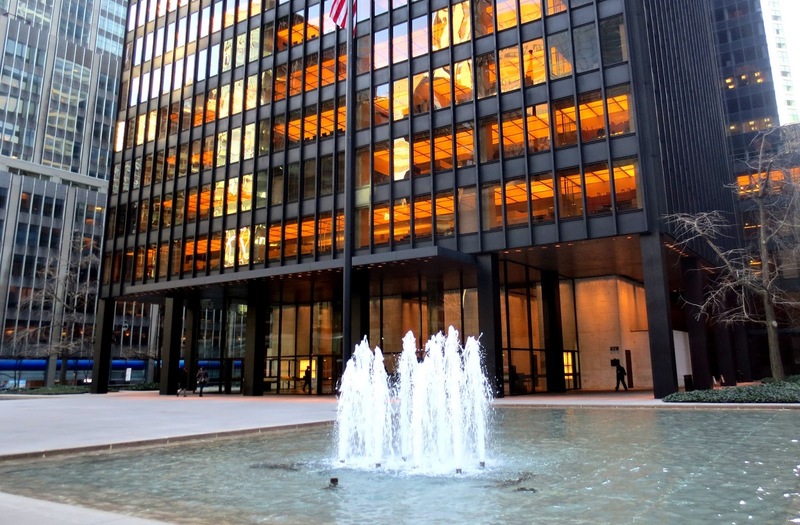 Mies was chosen by the daughter of the client, Phyllis Bronfman Lambert. Mies would have preferred the steel frame to be visible to all; however, American building codes required that all structural steel be covered in a fireproof material. And Mies who does not want to hide the structure used non-structural bronze-toned beams that are visible from the outside of the building. As designed, the building used 1,500 tons of bronze in its construction. 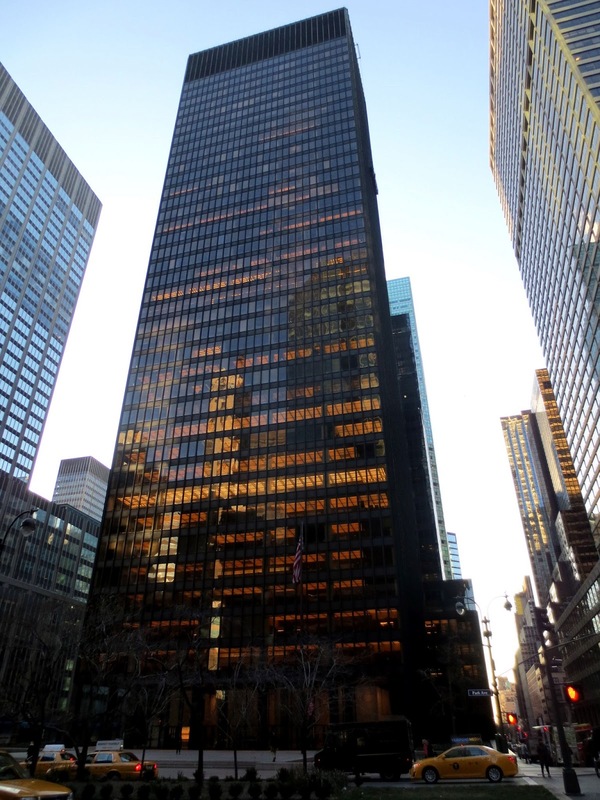 Seagram was the world's first office tower to feature floor-to-ceiling height glazing and was the world's most expensive skyscraper at the time. The building occupies only 40 percent of the allowable zoning space. There is a granite-paved public plaza in front of the building with two shallow reflecting pools with fountains on both sides. 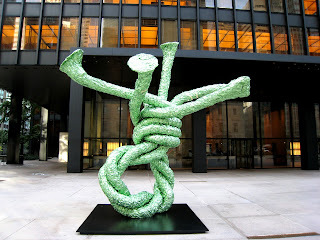 Sometimes in summers the plaza is used as a sculpture garden. In winter the pools are closed and a lot of potted Christmas trees covered with lights add a holiday spirit to the plaza. Another interesting feature of this building are built in blinds which only operated in three positions – fully open, halfway open/closed, or fully closed. The Architect does not want to add a disorder to the façade. Using the Seagram as a prototype, Mies' office designed a number of modern high-rise office towers but Seagram building is the only one by Mies in New York. The building was designated an architectural landmark in 1989.